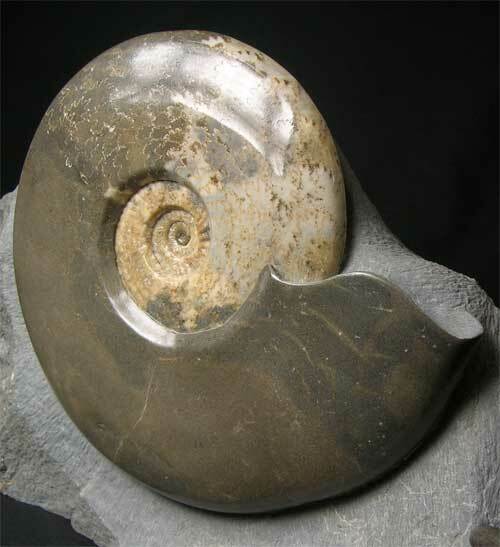 This incredibly rare and aesthetic fossil has taken many hours of painstaking preparation. 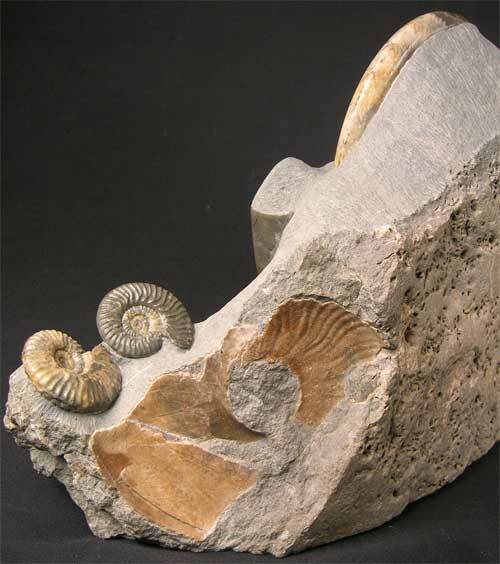 This superb display fossil was discovered by Andy Cowap during a very high tide and rough sea and has remained in his collection for over twenty years. 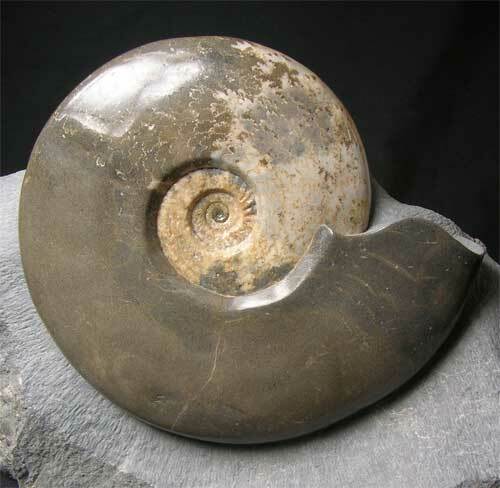 Top quality ammonites such as this one from this world famous locality are incredibly rare to obtain thesedays due to the lack of erosion. The ammonite has had a high professional polish applied to it to reveal its stunning sutures in different coloured calcites. The ammonite is complete and displaying mouth border. 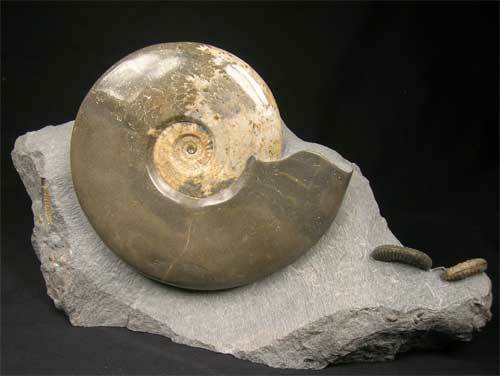 There are also two ammonites at the side of the large shell (Ludwigia obtusiformis 41 & 40mm). One for the collector of rare and stunning fossils.